Cutting Dies There are 200 products. Steel craft cutting dies, suitable for most personal die-cutting machines. Use die-cut shapes on your card-making and craft projects. 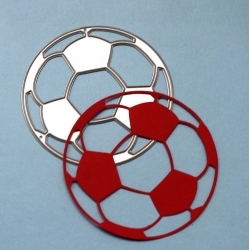 Large football cutting die, 6.1cm diameter. Fits most personal die-cutting machines. 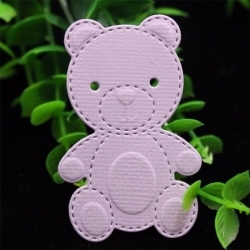 Cute teddy cutting die that embosses too. Finished cut image size 6 x 4cm approx.Fits most personal die-cutting machines. 5-piece die set featuring a dress-makers dummy, an embossed dress, a hat, a shoe and a handbag.The dress-maker's dummy is 8.5cm tall. Fits most personal die-cutting machines. 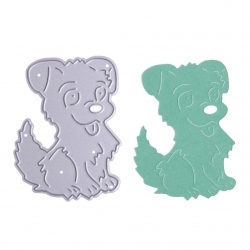 Cute scruffy dog steel cutting die, 6cm tall.Fits most personal die-cutting machines. Previously £1.00. 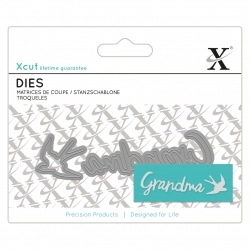 Xcut mini sentiment die featuring the word 'Grandma' plus a bird. Made from high-grade carbonized steel. 'Grandma' is 7cm wide. Previously £1.99. 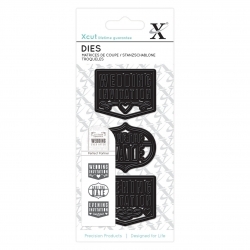 Xcut 3-piece Wedding invitation die set featuring 3 dies - Wedding Invitation, Evening Invitation and Save the date, 4.3cm wide approx. 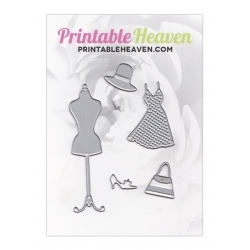 Fits personal die-cutting machines. 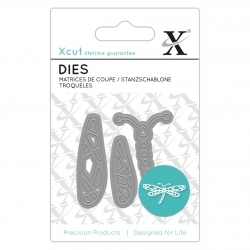 Xcut mini sentiment die featuring 3 pieces to make up a pretty filigree dragonfly. Made from high-grade carbonized steel. Makes a dragonfly approximately 8cm wide. 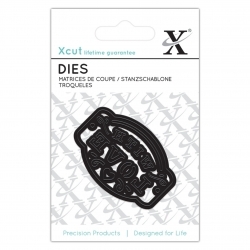 Great value X-cut mini die made from the highest grade carbonized steel to give a superior cut. For use with most personal die-cutting machines. 5 x 3.5cm.